TORQ swimming team athlete Pippa Shuttleworth took part in the East Region Championships over the May bank holiday weekend in Luton, Bedfordshire. Pippa raced in the 800m Freestyle, where she was a clear winner from the start in a time of 9.06.90. Despite being outside her PB it was an impressive swim to say the least – 1st place and Gold medal! She then went on to race in the 400m Freestyle, but unfortunately a ‘goggle episode’ meant a less than impressive start. However, after a few Open Water style ‘sighting’ efforts, she managed to hold on to 3rd place and took the Bronze medal. Pippa also won Gold as part of the 4x200m freestyle team and Bronze medals in both the 200m Freestyle and 400m Individual Medley. Not a bad day in the office! The 7km Es Trenc Beach Race on 27th May. 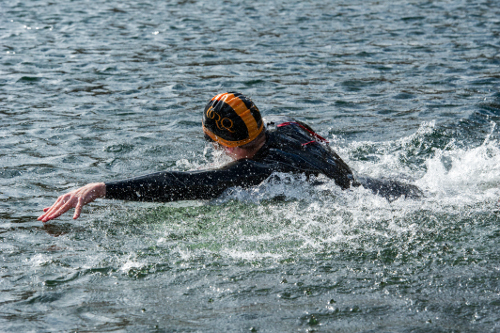 Pippa is also looking forward to racing for TORQ on 31st May at Ellerton, North Yorkshire as part of the H2Open National Swim Series. We’ll keep you posted.